When I wear or talk about vintage more often than not I'm referring to pieces in my own wardrobe from the 80s and 90s - something vintage purists wouldn't ever consider vintage. My wardrobe is a modern mix of op shop finds, designer pieces and chain store buys. I'm not your typical 50s pinup vintage lover but that's not to say that I don't appreciate the look. There's a reason why a lot of curvier woman are drawn to the style - it simply looks amazing on curves. The thing is finding genuine vintage from the era that fits the modern woman's shape is near on impossible, especially in plus sizes. That's where Bombshell Vintage's new line of unique made-to-measure reproduction dresses steps in which will be launched in Perth at the Curvy Couture Roadshow. I'm lucky enough to have been given the amazing 'Tallulah' dress from the new collection, a little sneak peek at what to expect walking down the runway in Perth on September 15. 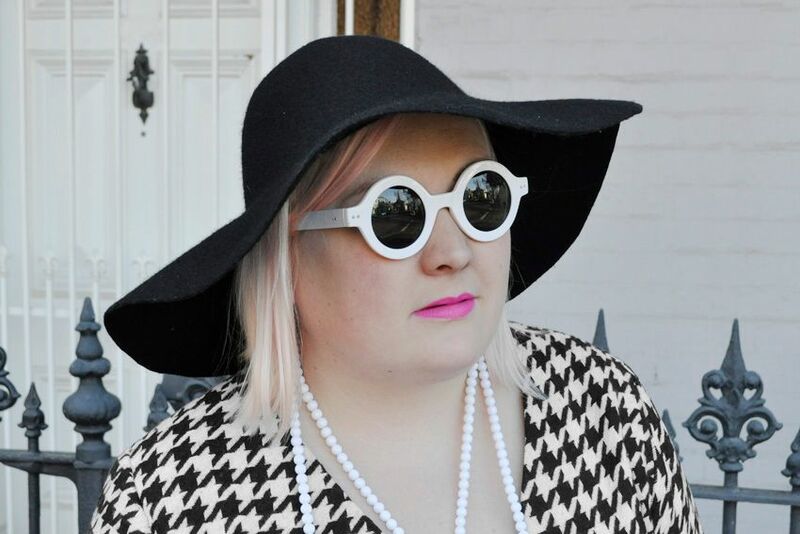 The fit on it is just incredible thanks to being made to my own measurements and I just love how the dress fits in with my style with it's bold black and white houndstooth print. I know my last blog post was all about my love of soft pinks but I've also been feeling the pull of monochrome and have a few black and white outfits to share with you over the coming weeks. 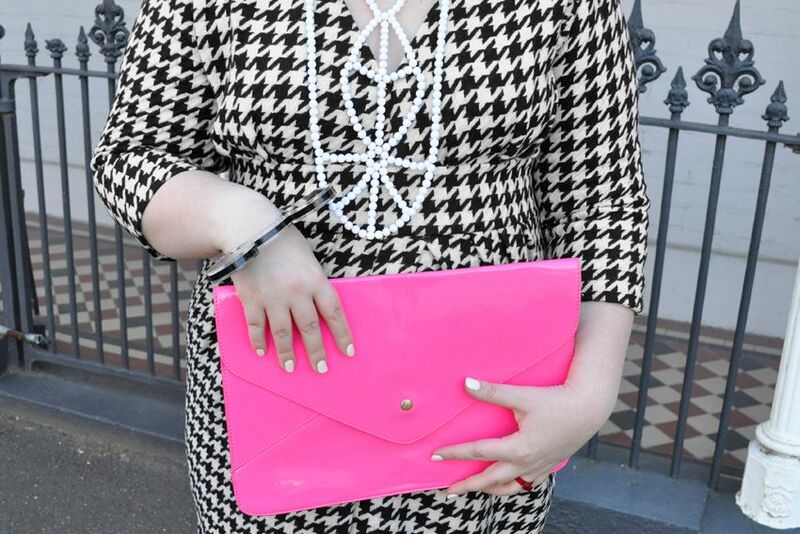 I broke up the monochrome look with my bold pink neon clutch making the look more me. Which matched my neon pink lipstick perfectly. I love a good tie in. My nails are just white shellac from a local nail salon who were really surprised I would want white as normally it's used for French tips. I always have to convince salons to do it but white really is the best nail colour (or non colour if we're being super zealous). It reminds me of high school when I'd get bored in class and paint my nails with white-out, surely I'm not the only one who did this? 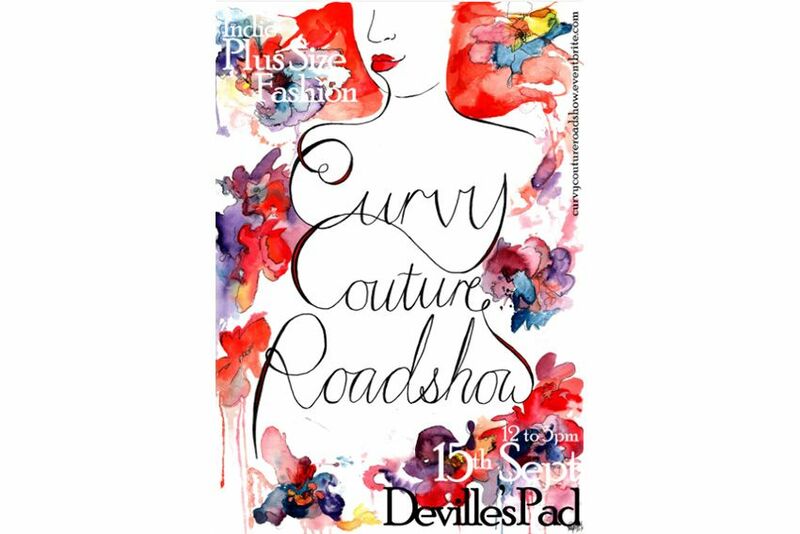 The Curvy Couture Roadshow is a one day indie plus size fashion festival brought to you by Kate Millet of Bombshell Vintage. It's first stop is Perth at the Deville's Pad on the 15th of September with plans to take it around Australia. The roadshow will showcase the following independent Australian plus size designers - Seraphim, Harlow, Fox Parse, Beyond the Sea Swimwear and of course Bombshell Vintage who will be showcasing their new reproduction line of dresses - the theme of which is 'All Eyes Are On You'. A day of catwalks, capsule markets, and stellar entertainment; including a photo booth, nail art salon, best-dressed competitions, and a contortionist. A CONTORTIONIST? Yes, a contortionist. Audiences can be photographed having their talons primed while watching someone else tie themselves in knots -- the ultimate in indulgence. “I’m really excited about introducing Australia to so many amazing indie plus size designers”, says Millett. 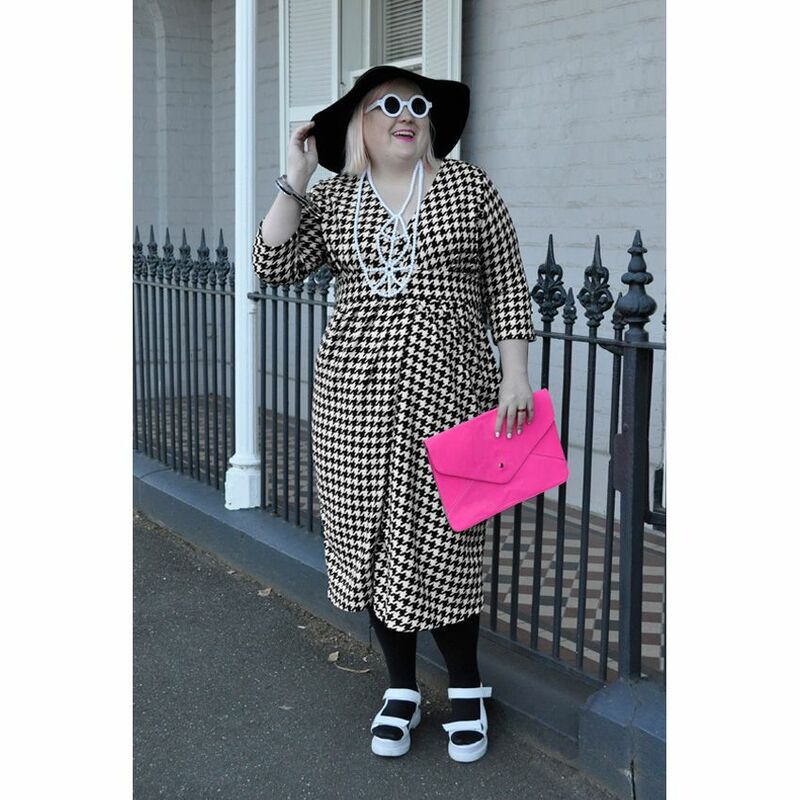 “It can be very easy to think there is nothing fashionable let alone awesome for plus size women in Australia. Big names can try to cater to too many people or can just play it too safe. The independent labels being showcased identify and tap into that market of plus size women who want to experiment with fashion and dress to express themselves”. So if this sounds like fun to you (and if you're in Perth) then you really should buy your ticket now before they sell out. 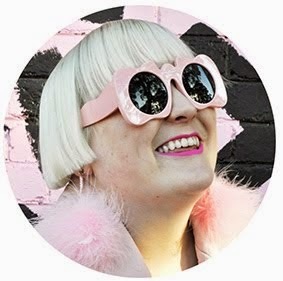 If you can't make it why not show your support for this great initiative and support independent Australian plus size designers at the crowdfunding campaign available for contribution through iPledg. Love the cut of this dress! We live in the same area and I'm so surprised I never see you around as I wouldn't miss someone with your great style! Oh man, flash back! I totally painted my nails with white out, so nope, you're not the only one! I'm super in love with that dress, the pattern on it is amazing! AMAZING. Yeah I used to have tippex nails too - and would scribble doodles on them in biro! stunning look! love the bangle! I follow u right now! Really quite stunning. I love thinking about where designers might get some of their inspiration.